Today I got a wonderful surprise in the mail. The box had a photo of my German cover (but also some mailing labels, so I didn’t photograph it). 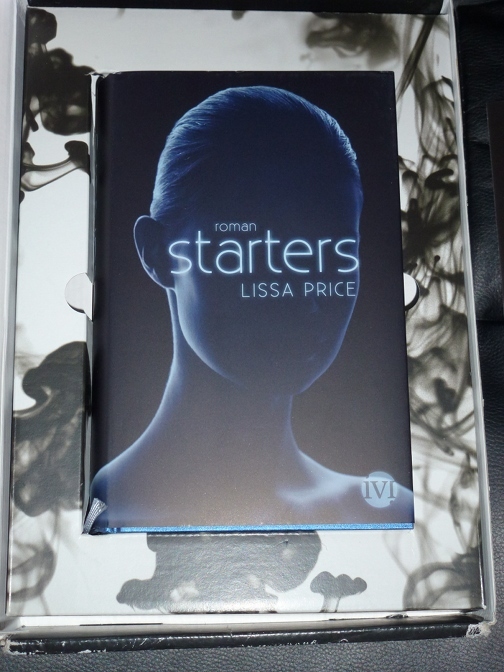 Then, it opened to a letter and the first catalog for the new YA imprint from Piper Verlag called IVI. This is the same catalog that’s online with STARTERS on the cover but much prettier in person. 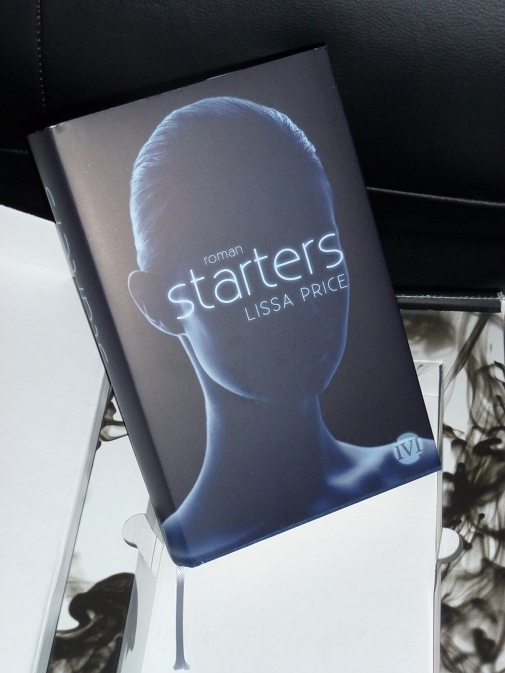 Then, set inside the box, cradled, nestled, was the first hardcover version of my book! I feel like I can now really say the words, “my book.” This is the ARC (advanced reader copy). Germany decided to bypass paperback ARCs and print hardcovers, complete with dust jackets, to give to the booksellers. Kind of amazing, no? “Roman” means novel in German. Lifting the book out of its cradle. That little strip of silvery blue is an attached ribbon bookmark! Something about that just gives me a thrill. It sort of ties me to the history of all books ever printed. The back. Excuse me, while I faint or scream. Or faint and scream. 1. Careful, you are renting another person’s body. 2. You are not allowed to alter or harm the rented body. 3. We are not responsible for any illegal activities while you are in the rented body. Next Post: Jan 3 releases UNDER THE NEVER SKY, CINDER, CRACKED & CABINET OF EARTHS! This is awesome news! What a great xmas present indeed. ANd the cover is just beautiful! Congratulations again and I look forward to more good news! It looks gorgeous! I’m going to have to buy it in German too! Ooooh! I love it, Lissa!